American Craftsman Renovations is a locally owned family operated general contracting firm that services Isle of Hope in Greater Savannah Georgia. We are proud to offer homeowners a variety of services that include: kitchen remodeling and renovations, bathroom remodeling and renovations, home additions, structural repairs, roofing services, and historic restorations. 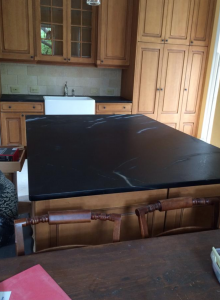 American Craftsman Renovations offers Isle of Hope homeowners with professional kitchen remodeling and renovation services. Depending on your needs and budget, we can give your kitchen a fresh look with a new backsplash and appliances or we can recreate your entire kitchen, creating a new space that meets the needs of your family. Work with us today and let us help you identify your needs so that we can design your dream kitchen. 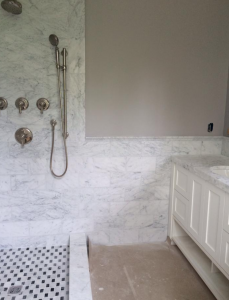 Homeowners in Isle of Hope that are looking to create a welcoming retreat to come home to after a long day can rely on our professional general contractor and his team for the best bathroom remodeling and renovation services. Whether you are looking for light renovations that will enhance the look and feel of your home to totally redoing your entire master bath or guest bath, we can help. Many homeowners often look to redo their bathroom vanity or vanities and a new shower and bath tub combo. Let us help you pick out the tile and hardware for your bathroom renovation or design an entirely new bathroom for you and your family. Rely on Savannah Georgia general contractor American Craftsman Renovations for professional Isle of Hope home additions. Sometimes your growing family needs more space in your forever home and we can help build that space for you. Rather than relocating and leaving behind your favorite neighborhood, let us help expand your existing property, creating the dedicated office space, extra bedroom and bathroom, or finished bonus room that you need. When your foundation or roof is in need of repair in Isle of Hope, you want to be sure you are working with experienced contractors that have many years of experience. American Craftsman Renovations is a locally owned family operated general contracting firm in Greater Savannah and can help ensure your foundation or roof is repaired the right way, the first time, ensuring your home is safe for you and your family. Savannah Georgia general contractor American Craftsman Renovations offers roofing services to homeowners in Isle of Hope. We can repair any shingles that are damaged as well as replace your entire roof it is older or damaged beyond repair. Isle of Hope historic property owners can rely on American Craftsman Renovations for professional historic restoration services. Not only are we extremely familiar with Savannah properties, but we are also committed to excellence on every project we take on. Let us help you restore your home the right way, the first time, while staying true to its natural beauty and historic charm.